Mosinee, Wis. (BUSINESS WIRE) – Wausau Paper (NYSE:WPP) is proud to announce the launch of its new Green Seal™ certified, DublNature® line of premium, plush, cloth-like towel and tissue products utilizing 100 percent recycled fiber on the Company’s recently completed ATMOS technology-enabled paper machine at Harrodsburg, Kentucky. DublNature products, designed for both comfort and functionality, provide exceptional softness, strength, absorbency and brightness. DublNature is made from high-quality 100 percent recycled fibers and is certified by Green Seal, Inc., as environmentally preferable. DublNature products, and their new upscale packaging, are well suited to a wide range of applications and are targeted at businesses and institutions seeking the finest quality while supporting “green” purchasing initiatives. Wausau Paper offers a complete line of towel, tissue, wiper, soap and dispensing systems. For more information on Wausau Paper’s complete range of products and services for the away-from-home washroom market, please visit our website at www.wausaupaper.com. Green Seal™ is a trademark of Green Seal, Inc. in Washington, DC. Used by permission. ATMOS is a trademark of Voith GmbH in Heidenheim, Germany. Used by permission. 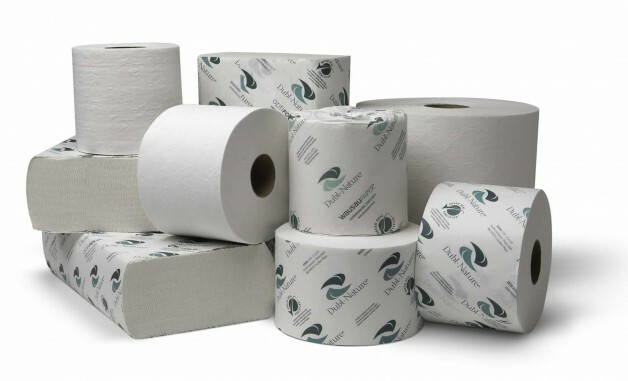 Wausau Paper produces and markets a complete line of away-from-home towel and tissue products as well as specialty papers for industrial, commercial and consumer end markets. Headquartered in Mosinee, Wisconsin, the Company is listed on the NYSE under the symbol WPP. To learn more about Wausau Paper visit www.wausaupaper.com. , Director Investor Relations: pgrueber@wausaupaper.com.